Minimalist design project created in Illustrator. Used favourite childhood cartoon heroes as inspiration for design. Recently I spent upwards of 20 hours working on my first font. Upon completion I realized I hated it and scraped the font and began working on the font below. I went for a much simpler font and was much happier with the results. I’d love to hear what you think and any advice you have to improve it. In the coming weeks I hope to do a post on the creation process and some of the things I found challenging and helpful as a beginner. The .ttf file is available for download below the image. The only thing I ask is if you use it you let me know, I’d love to see it in use! Alright, alright, I was on a break. It wasn’t really intentional. Life and school got busy and writing here became more work than pleasure. Between school and work, the remaining hours were spent unwinding. The fact Friends is now on Netflix doesn’t help matters either. I haven’t been entirely dead on my site though. I’ve been self-teaching and doing design work. I’ve been primarily using Illustrator and GIMP. Some of the work I’ve been doing can be seen under the portfolio tab above, I’m always looking for constructive criticism to help myself improve. I have really enjoyed working on design lately, hence why it has taken over my free time. There are a couple of projects I have lined up for the coming months. I’m going to continue working and self-teaching myself design. My projects will be posted into my portfolio on this site. On top of this I am going to start writing about design. I am not an expert, therefore I don’t intend to write like an expert. Instead I will be writing on topics that I found incredibly useful as a beginner. I started this site to share my knowledge and opinions on topics in the business world, primarily marketing. I intend to get back to that in the future. This random writing project I started in the summer got put on the back burner when school started again. I actually really enjoyed working on these short stories. It allowed me to write about business topics while being able to add humor and a story line. This series also received a great deal more traffic to my blog due to the nature of the writing. Therefore continuing this project makes sense on all fronts. Drives traffic and I enjoy working on it, a pretty great combination. In recent months I have seen a tradition in my reading habits from strictly pleasure reading to reading business related books. It may be because I’m getting old, but I attribute it more to be passionate about the industry I’m in, and in my opinion that certainly is not a bad thing. I will be using these books as inspiration for blog posts and I will also be writing reviews on the texts, as well. I will discuss the value of the knowledge presented and summarize the key points of the text. I will do my best to be objective, but the posts will be based on my opinions. If you disagree with my reviews on a book, let me know! I may have missed something you caught, or misunderstood a section I found detrimental to the book. This is what I have planned for the future months, like most things it is subject to change, but most importantly I’ll be actually writing again and I hope you enjoy it! Hi, if you’re coming over from Firepole welcome! If you’ve come to my blog today coincidentally, welcome as well! 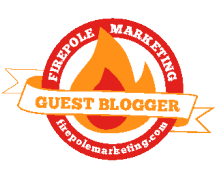 If you’re one of the later go check out the guest post I did over at Firepole regarding the best way to manage a social media campaign. Guiding your way through the twist and turns to success rather than launching a campaign and hoping for the best. Those of you coming from Firepole, thanks for stopping by. I had hoped to have a number of post made recently that would hook you on my blog. Unfortunately this time of year has been crazy busy between school, work, and rugby. That being said I have written articles but didn’t like how they turned out. Therefore they ended up in the digital trash bin. I encourage you to look around the site and if you like it, keep checking back. Once the rest of my life calms down I’ll get back to writing on a more regular basis. Once again thanks for stopping by! Time Management – Being Busy Makes Us Better! It has been a while since I have written anything. This is mainly because this time of year is nuts. Moving back out east for school, rugby training camp, working, trying to find another job, trying to find time to find good articles to share, and finding time to write my own stuff. As much as I complain about being busy I am much more productive now than I am once things start to settle down. Being busy makes me better. A lot of our rookies for rugby find the training schedule daunting. Trying to fit rugby in with school work and other activities around campus. Any vet can tell you though that grades are better during the rugby season because you are forced to manage your time better. When you have a lot on the go you have to manage your time wisely. If you have class 8-12, then practice from 4-6, and you work at seven, then you need to get work done in that 12-4 window. That’s the only time you have so you need to use it wisely and you do, because if you don’t it forces you to cut into another activity or your sleep. On the other side of things when rugby season is done and I have a lot more free time I find I’m much less productive. You have 5 hours of free time, you should work on a paper for 2 hours so you give yourself three hours to play video games or go out with friends. Since videos games and friends are better than work that three hours quickly becomes four and that 90 paper becomes a 70 paper. Without the strict need to manage our time we end up managing it poorly. Thanks for reading! I will hopefully be posting more in the future now that things are settling down.